The world’s best surfers revelled in the overhead surf at Willard Beach on Day 5 of the Ballito Pro pres. by Billabong, carving massive arcs, manoeuvring into and out of deep tubes and taking to the air with high flying aerials on the two metre plus waves. After a day of intense competition where the five remaining heats in the Round of 24 and all eight heats in the Round of 16 were completed, Mikey Wright (AUS) emerged as the standout performer, earning the event’s highest single ride, a near perfect 9.87 out of 10 for a no-grab full rotation, and heat total with an impressive 18.80 out of 20 in his early morning heat. 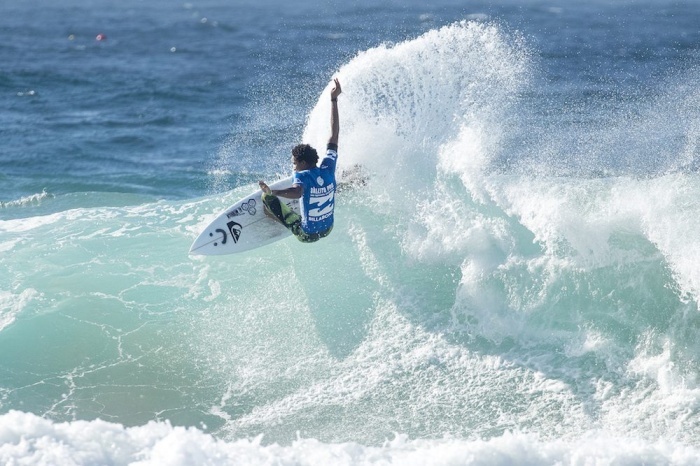 The 20-year-old Australian went on to post another excellent score to outpoint exciting Brazilian aerial maestro Yago Dora (BRA) in the first round of the man-on-man format to move into the quarterfinals of a QS10,000 event for the first time in his career. 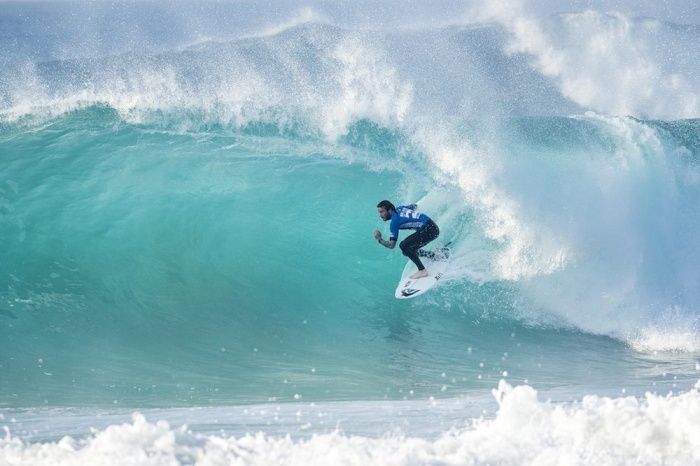 The day’s action kicked off with a high-scoring duel between Ramzi Boukhiam (MAR) and Jordy Smith (ZAF) that saw each earn a pair of excellent rides. The Moroccan narrowly outpointing the World No. 3 as they both advanced to the last 16 at the expense of David van Zyl (ZAF) who could not find the high scoring waves and ended his 2017 Ballito Pro campaign in equal 17th place with a career-high 2,200 point haul. Despite the onset of the onshore breeze, the first heat in the Round of 16 had the packed beach cheering as crowd favourite Michael February (ZAF) fought back from a slow start to overtake young Californian Griffin Colapinto (USA) and advance to the quarterfinals. February will be up against Jesse Mendes (BRA) in the quarters and win or lose the South African has already accumulated enough points to break into the Top 10 on the QS rankings. Mendes, the current QS No. 1, cemented his place in a qualifying slot for the 2018 WSL Championship Tour (CT) by defeated Keanu Asing and advancing to the last 8 at Ballito. The balance of the quarters will see a head-to-head battle between Smith and Miguel Pupo (BRA), the only other current CT member still in the event. The bottom half of the draw pits Wade Carmichael (AUS) against fellow Australian Mikey Wright and Vasco Ribeiro (PRT) against Brazilian powerhouse Willian Cardoso, who has also moved into the QS Top 10 by reaching the quarters. Organisers will meet at first light again on saturday to make a call at 06.45 am on when to start what is likely to be the final day of the event. If the quarterfinals commence at 7.05 as expected, the 2017 Ballito Pro pres. by Billabong champion will be crowned at Willard Beach before noon.